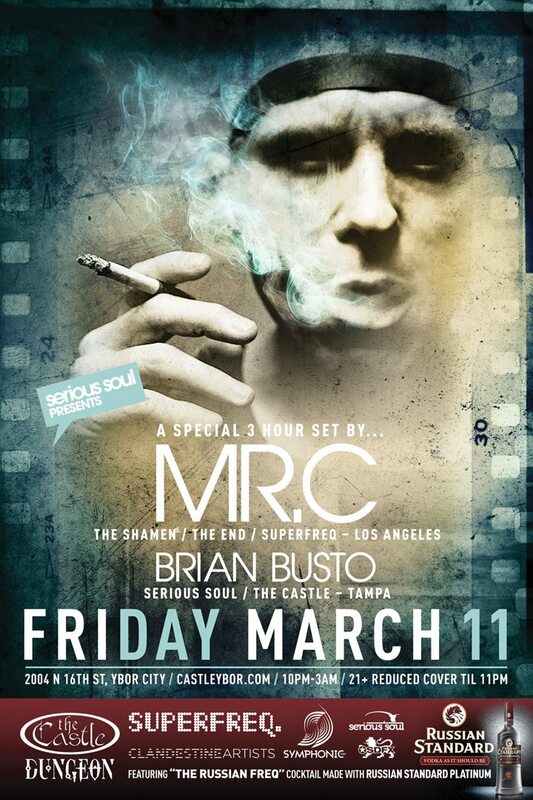 The Serious Soul guys with Brian Busto, down in Tampa have been spicing it up for a while now with the likes of Camea, Three, DJ Pierre and label names like Cadenza and Cocoon gracing there decks. For us Jacksonville folks the 3.5 hours drive can be a killer after a night of getting down but this Friday it will be worth it. The legendary Mr. C will be gracing the decks for a three hour set. Credited for helping establish the UK rave scene, gurus The Shamen and their Entact album hooked me on electronic music many moons ago, so getting to see the enigmatic Mr C. once again will be quite a splendor. Check out his mix via the BPM festival this year for a taste of what this former Shamen is capable of. This entry was tagged mr c, serious soul, superfreq. Bookmark the permalink.